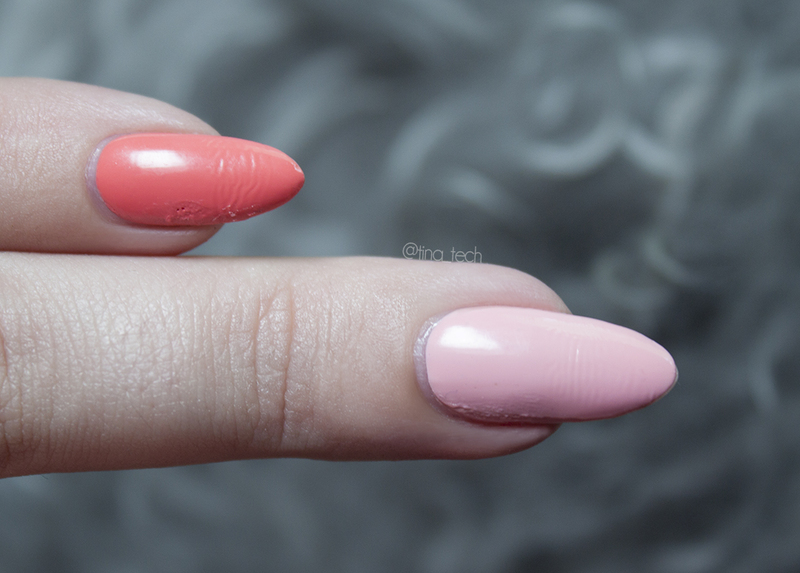 This is two coats of this warm peachy pink color. 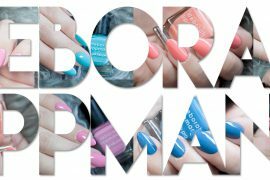 The formula for all these polishes are smooth and dry super fast, they are easy to apply and the brush is heaven! Dress Call is a pretty lilac, two coats with top coat in this picture. This, along One The List are my favorites out of the ones I tried. 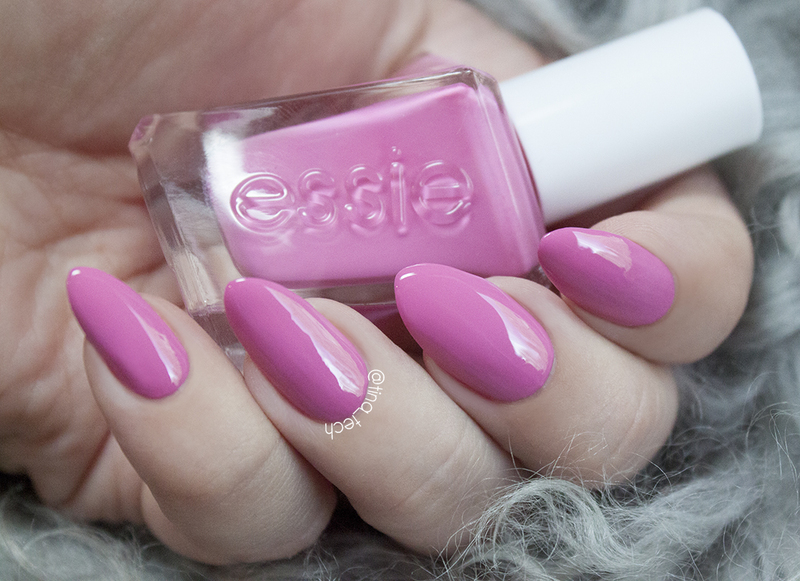 It’s a bright magenta, and a classic “Barbie pink” polish. Great for summer! Two coats with top coat. 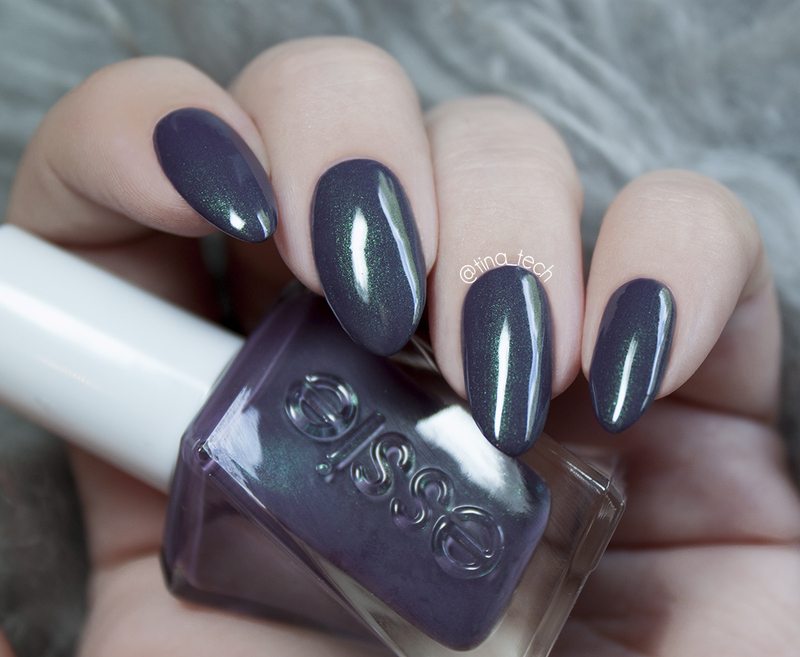 This color is so yummy! 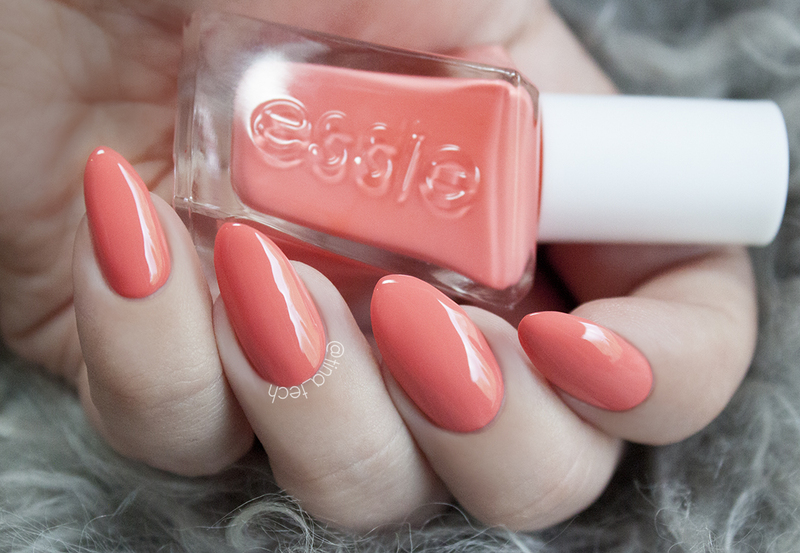 A stunning apricot with a red hue, and it’s so bright and fun! Two coats with top coat. 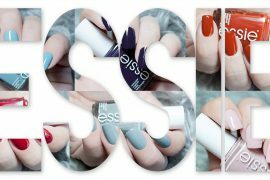 This color has gotten a lot of buzz in the nail world, and I think it’s a really cool color, but I still prefer the bright On The List and Model Citizen. A dirty purple base with subtle green micro shimmer. You could get away with one, but I did two coats with top coat. Now the picture above is the third and final reason I didn’t re-apply the top-coat. After 24 hours and me taking a shower, this happened. The polish that was dry after approx 20 min after applying it, all of the sudden smudged and shrank and looked terrible on two of my nails. 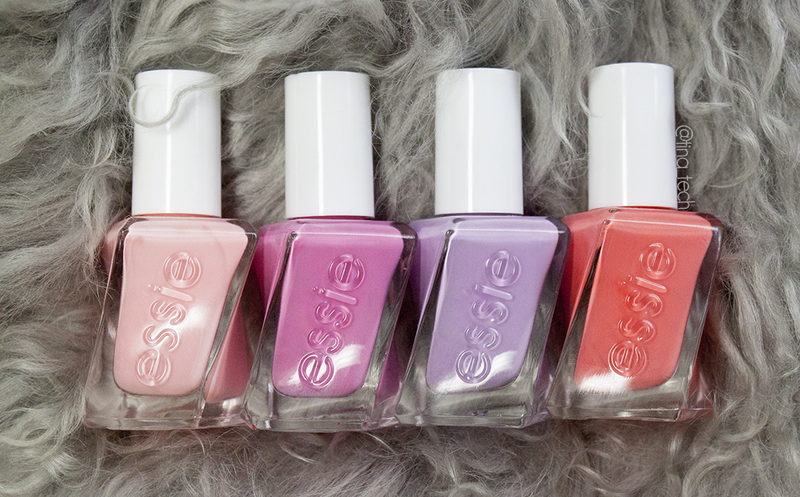 I still wore it for the rest of the week and it lasted like the other ESSIE polishes I own. Some tip wear and chipping, but nothing too bad. Ooh I’ve been wanting to hear about these! 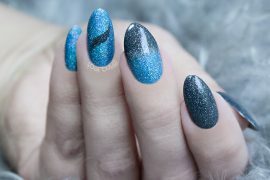 I wish there was a “gel like” polish that actually worked like gel and lasted longer! 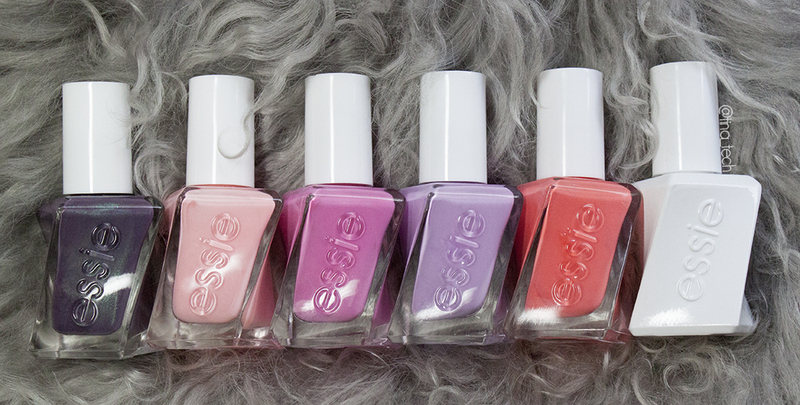 Or a magical top coat or something….